Jeju is a free international city allowing free entry without a visa. Jeju Island is located at the center of East Asia and acts as an important linkage that connects China, Japan, and South East Asia. The island can be reached by air or cruise ship, but the fastest and most comfortable way to reach it is by air. 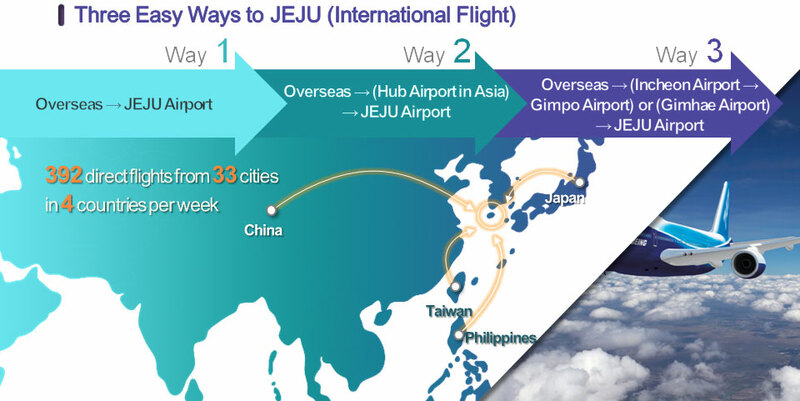 There are direct flights to Jeju from hub airports of major cities in Northeast Asia. 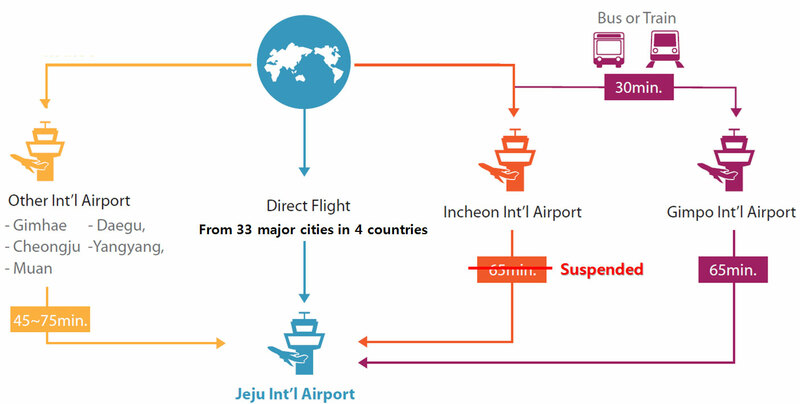 Also, more than 200 domestic flights (Jeju-Gimpo) are available each day (round-trip). You can check the flight times in real time with the Korean Airports Corporation’s Korea Smart Airports App. 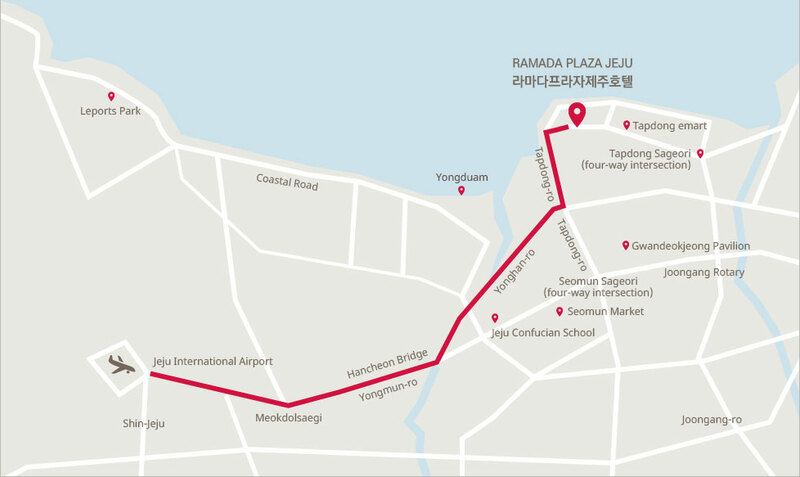 Transfer through Incheon International Airport, the airport limousine bus or airport railroad transfer to Gimpo Airport (GMP – the second airport of Seoul), 1-hour flight time from Gimpo to Jeju Airport. – About 60% of the visitors from the continents of America and Europe visit Jeju via a third country due to no-visa entry and tour convenience.